These are my top 25 episodes of television of 2015, from 25 to 1. Some of these are animated (this is an animation website after all), some are not. I think it’s important to rank my top episodes in general and not just animation ones to give legitimacy to how great animation was this year on TV. It doesn’t warrant a separate category, animation is among the very best on TV. To be clear, this list is the best 25 episodes of TV this year that I’ve seen (shows I don’t watch couldn’t have been included). One of the best animated shows of the past 10 years is ending this year, and while its finale (so far) has been its highlight, the show has been solid all year. 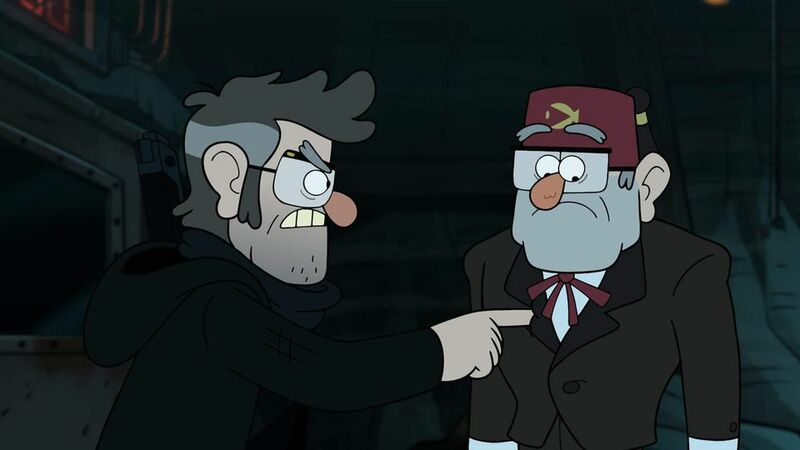 “A Tale of Two Stans” is a great backstory episode that advances the show’s mythology while presenting an isolated story that is interesting, funny, and well executed in its own right. 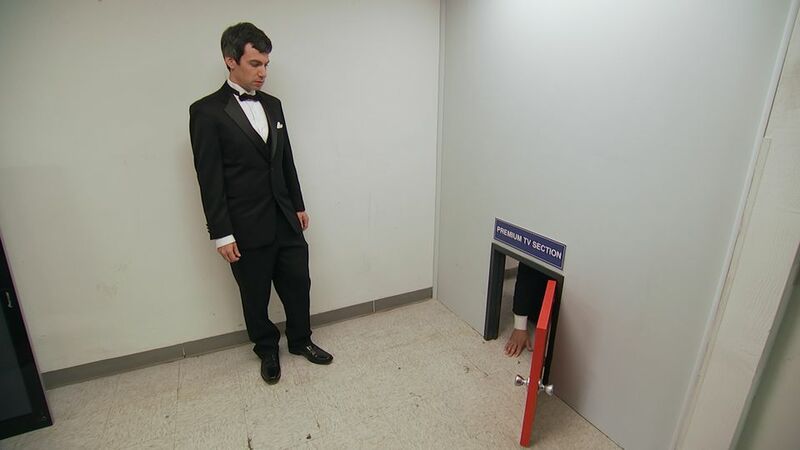 This year’s funniest shows are Rick and Morty and Nathan For You. “Electronics Store” is Nathan For You’s third season peak, featuring everything that’s so incredible about the show in one plot. The highlight is definitely the pictured technically achievable but incredibly inconvenient promised TV sale, but the whole episode is clever and hilarious much like the show has been for its entire run. Adventure Time’s “Stakes” mini-series was one of the highlights of animation this year and “The Dark Cloud” was its climactic, poetic conclusion. Featuring Rebecca Sugar’s gorgeous “Everything Stays” song sung by Olivia Olson, “The Dark Cloud” gives us no thrilling conclusions to any story elements, but is one of the most thematically strong episodes of television of the year. “Indians on TV” seems to be a personal recounting of Aziz Ansari’s experiences with race in his profession told in the form of an incredibly well-crafted episode of television. What’s remarkable is how well the episode executes its storytelling, given the strong message and personal element it has. Masters of None has a similar episode to this with feminism, and while that episode is also very good, it doesn’t manage to integrate its commentary into its storytelling as well as this episode. 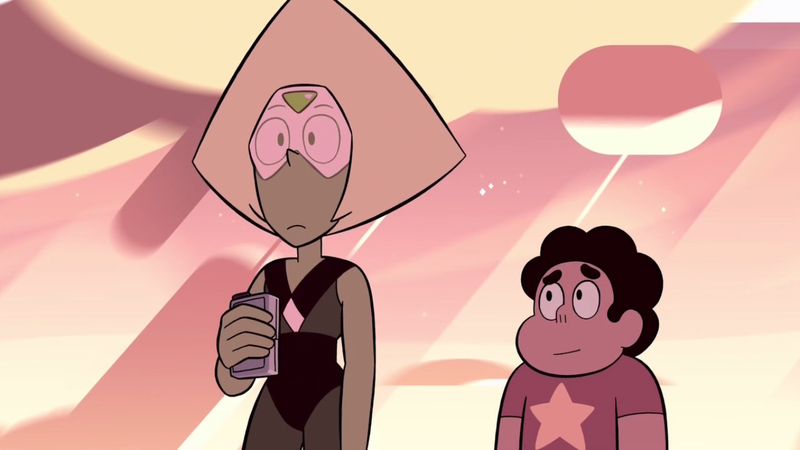 Peridot might have the best single-episode characterization in “Too Far” of anything on television this year (outside of my #1 episode). Her growing dynamic with Earth and the gems, especially Amethyst, is fascinating. This episode is a great compliment to “Back to the Barn” and expands on that episode’s commentary on our societal norms in a more expansive and subtle way. I think I might even be underrating “Too Far” with its placement here. “The Ricks Must Be Crazy” is a incredibly solid episode of television with no holes to be found. Its A plot is cerebral enough and funny, while its B plot is one of the most hilarious on TV all year. For me, the A plot doesn’t go to the depth that one other episode of the show this year went to, and the episode overall wasn’t as funny as another, but it still ranks among the year’s best. “Everything Stays” is the heart of the “Stakes”, and is the best entry in the mini-series. 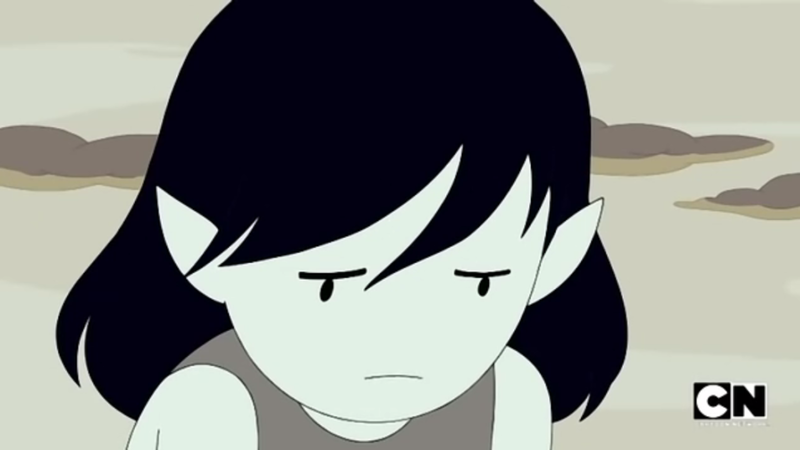 The episode beautifully chronicles the past of Marceline through short flashback vignettes. The difference between this episode and the Steven Universe ones in the top 10 is that this episode feels limited by its 11 minute run time, while those thrive within it. 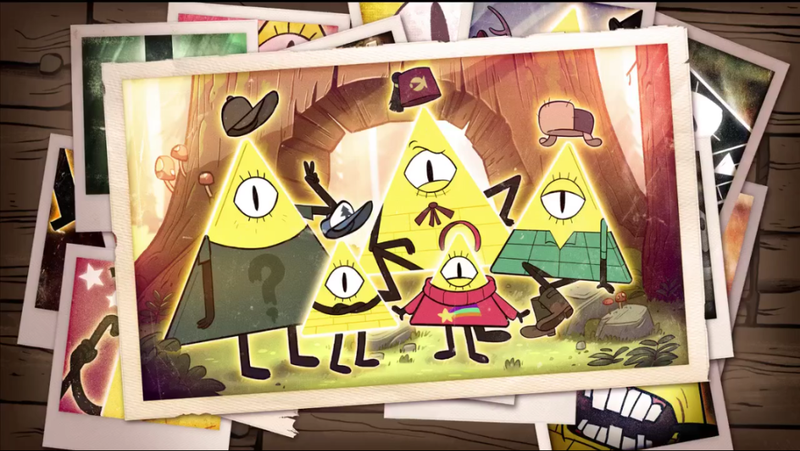 “Weirdmageddon Part 1” isn’t a truly great episode of television (its second half is just ok), but overall it’s so incredibly weird, and I think will go down as an all-time cartoon classic. Its apocalyptic aesthetic is so distinctive and they go all-in on it throughout the episode, making for one of my most memorable television experiences of the year. Part 2 is also flawed, but has incredible moments between one of the best two-character dynamics of the year, Dipper and Mabel. I think just like Part 1 it will go down as a classic despite its flaws. 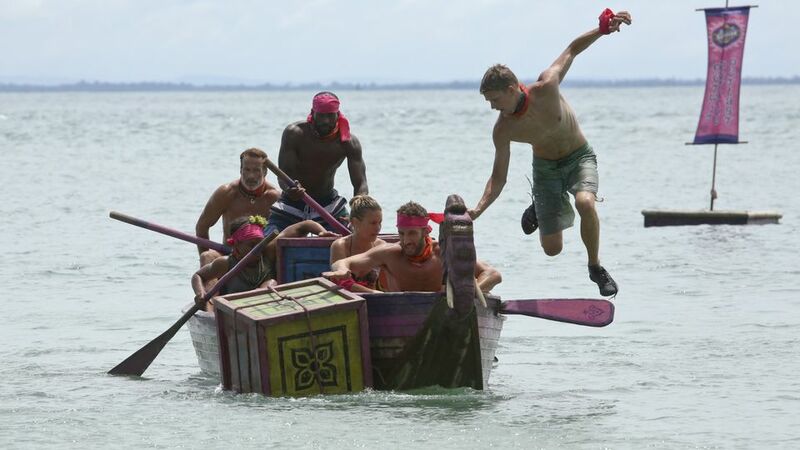 31 seasons later Survivor remains one of the best shows on TV. It has its down seasons, but its current Second Chances iteration has been excellent. “You Call, We’ll Haul” features coherent, exciting storytelling from its edit, and featured one of the great climaxes in Survivor history. What’s so interesting is that reasons for its drama venture outside of the episode itself, as credible spoilers told an ending to this episode which didn’t come to pass, making for one of the most unexpected endings to an episode of the show. I was looking for any excuse to put an episode of Jane the Virgin on this list, and “Chapter Twenty-Eight” stood out from other episodes in being one of the most coherent, effective “passage of time” episodes I’ve seen on TV. It covers five months over the course of 40-something minutes when the entire first season of the show took place over nine and it does so masterfully. Like any episode of Jane, “Chapter Twenty-Eight” is heartfelt, hilarious, intelligent, interesting. Jane is one of the best shows on TV and while no episode this year was top ten worthy, every episode is consistently great and as a whole the show is top five material. 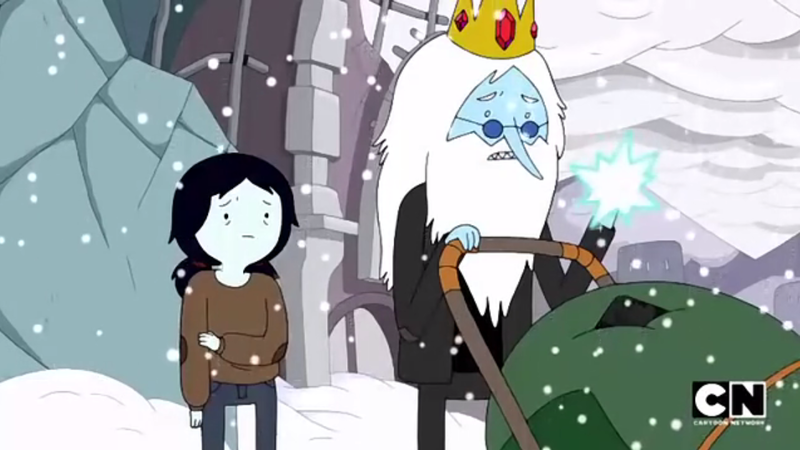 In contention for funniest TV episode of the year, “Mortynight Run” is clever and hilarious. 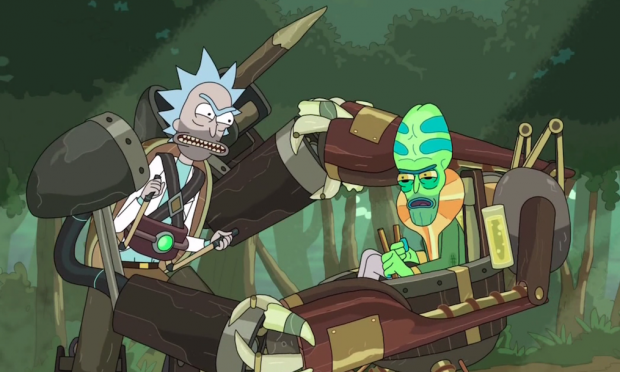 The Fart and Krombopulos Michael are two of the funniest guest characters on TV this year and the “Roy videogame” gag was one the best best things on all of television. “Back to the Barn” features some of the best mythology-building storytelling I’ve seen and it ties with some great metaphors to preconceived notions in our society. Neither of these are new to Steven Universe and are two of the show’s best traits, but this episode does both of them better than any other episode of the show. In retrospect I think this episode might end up higher than this, but for now it’s only the 4th best episode of Steven Universe this year. Maybe the best season finale of the year (probably second to Steven Universe’s “Jailbreak” but still), “Chapter 39” might be my favorite episode of House of Cards ever, in my favorite season. Many critics did not have a positive view of Season 3, but I thought it featured a more solid and cohesive narrative than any season of the show before. Highlights were Doug Stamper’s recovery arc and Frank and Claire’s relationship, both of which culminate brilliantly in this finale. 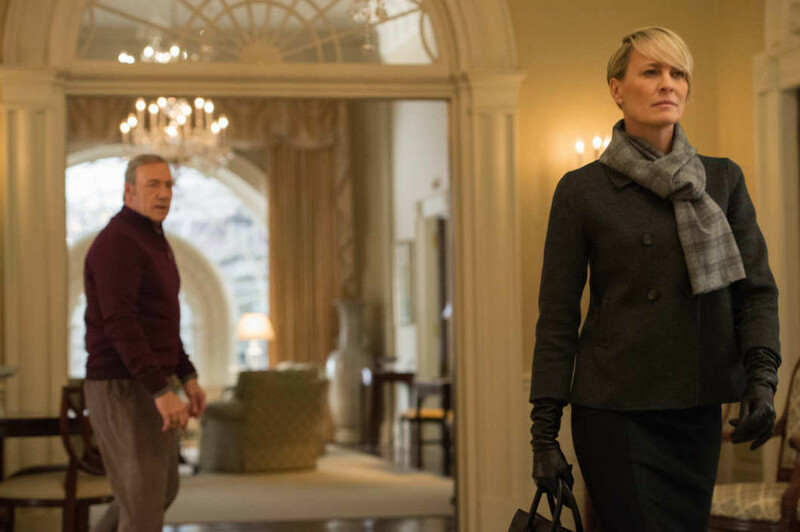 “Chapter 39” is House of Cards’ “Crossroads of Destiny”, an intense, brilliant episode that wraps up the season perfectly and brings to a close one of the best character arcs of the year. Three entries on this list is what the excellent final season of Mad Men deserves, and these final three entries to the show are incredible. “Person to Person” features an appropriate and great ending to one of the best TV series of all time and all of the final three episodes feature excellent ends to some of the best character arcs ever. Flat out the best episode of television that I’ve seen exploring real world relationships, “Mornings” is the best episode of one of the best shows of the year. While Jane the Virgin‘s “Chapter Twenty-Eight” excellently explores the passage of time for the life of a new mother, “Mornings” deals with time lapses somehow even more expertly, about the life cycle of a relationship. It features incredible performances from Aziz Ansari and Noël Wells and really just has it all. Unlike other shows on this list where I was happy to put an incredible season’s best entry onto the list, Game of Thrones had easily its worst season this year and it was one that was frustrating and terribly sexist. 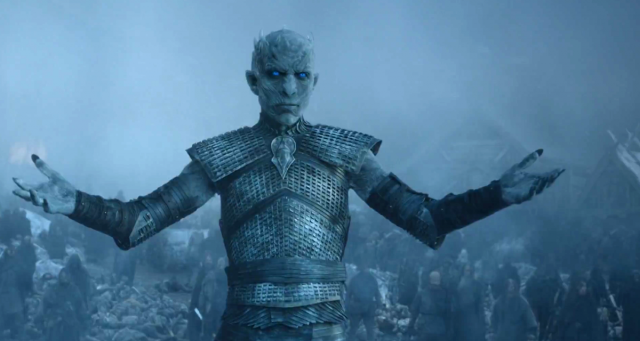 This is a list of individual episodes though and “Hardhome” escaped the problems of the rest of the season, even rising to the show’s best episode of its run. Highlighted by an absolutely stunning battle sequence north of the wall, “Hardhome” is the most cinematic episode of television I’ve ever seen and is truly great. The 100 quietly had one of the best seasons of television of the year and “Bodyguard of Lies” was its best entry. The season was tense and powerful, with an incredible female dominated cast led by Eliza Taylor as Clarke, one of the year’s best characters. “Bodyguard of Lies” was highlighted by a complex and emotionally charged scene between the two opposing leaders Clarke and Lexa, one of the year’s very best scenes. “Jailbreak” is incredible in how much storytelling it achieves in its short time, but that’s also its biggest flaw as it’s much less focused than the two Steven Universe episodes I have ahead of it on this list. 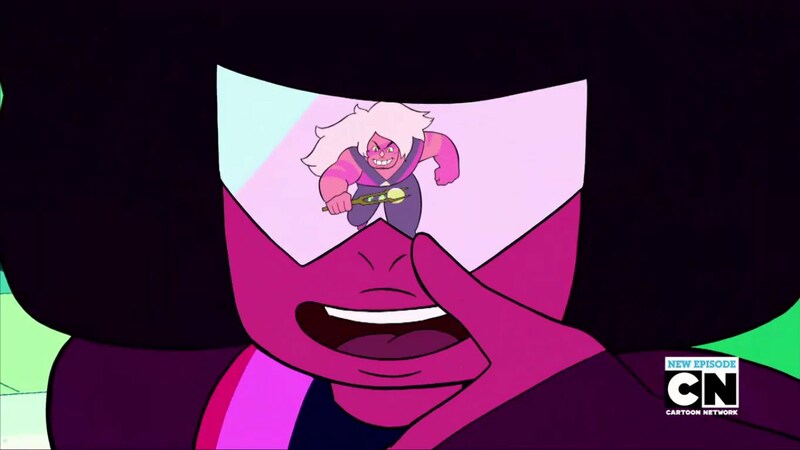 Nonetheless the episode is great with Garnet’s “Stronger Than You” easily one of the highlights on all of television this year. 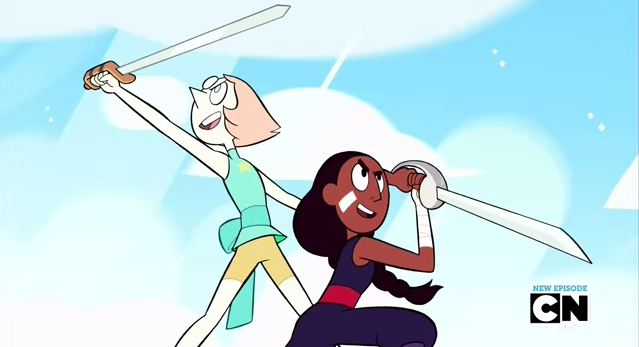 Not even the best emotional Pearl episode of the year, “Sworn to the Sword” is nonetheless incredible. “Do it For Her” is a feat of storytelling, achieving incredible emotional depth and backstory for Pearl, while also simultaneously developing Connie’s character. The episode hits a little too bluntly at the end, but overall it’s easily one of the year’s best. Steven Moffat finally lets a woman write an episode and what do you know it’s the best episode during his time as showrunner. 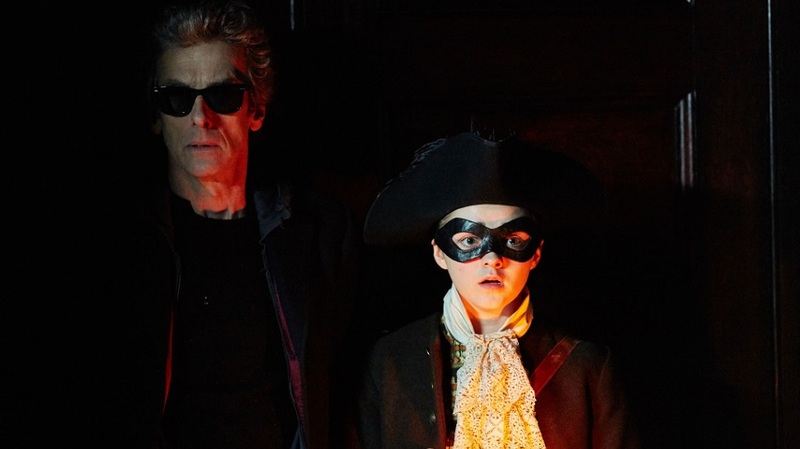 Catherine Tregenna pens one of the best scripts in Doctor Who history and Maisie Williams gives an incredibly powerful performance in “The Woman Who Lived”. The episode serves as a better character manifesto for The Doctor than any I’ve seen before and is an all-time classic. 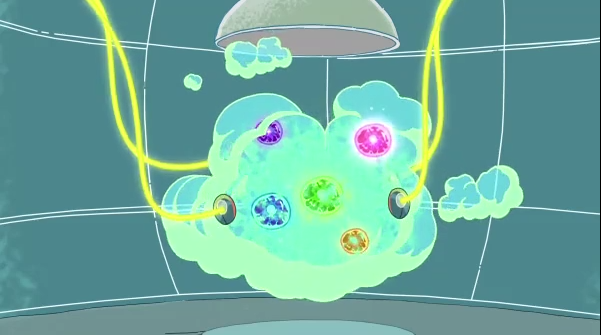 For me, “Total Rickall” was the best episode in this year’s excellent Rick and Morty season. The episode was hilarious, clever, and maintained its excellence for its entire run time, culminating in the best ending of any episode on television this year. 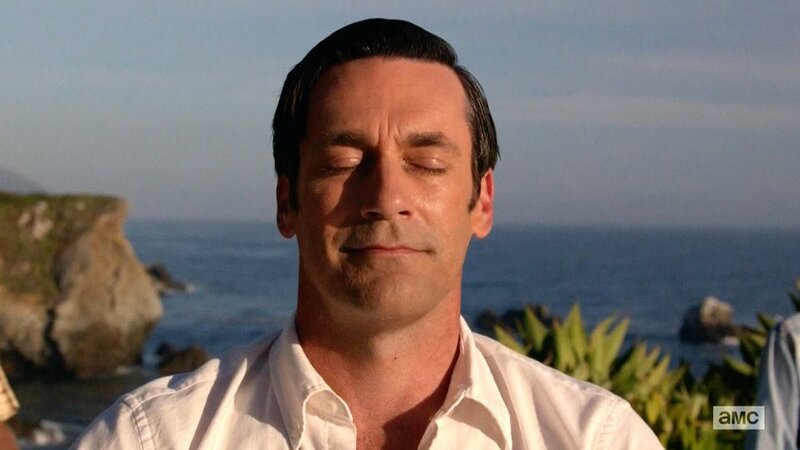 It’s the funniest episode of TV of the year, and the most intellectually satisfying. Fittingly, the best episode of TV this year was animated.”Rose’s Scabbard” was the best episode of the year and it’s not close. 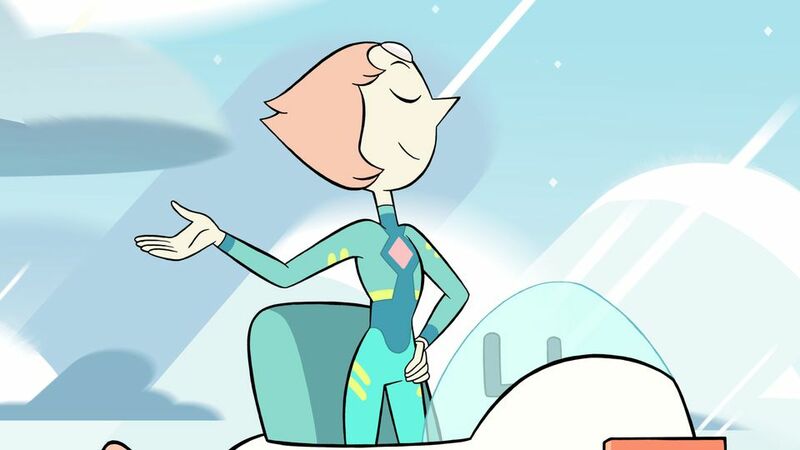 No other episode this year achieved the emotional depths that “Rose’s Scabbard” explored with Pearl. 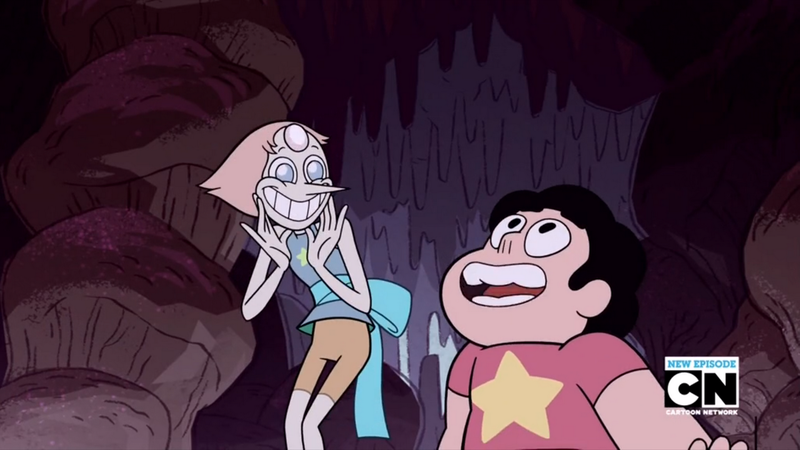 Pearl is the television character of the year and she shines in this episode. Her complexity, her anguish, her incredibly complex view of Steven. No other episode of television this year achieves so much depth and complexity, and “Rose’s Scabbard” does it all in 11 minutes. Animation makes up 13 of the 25 entries on this list, and while this mostly reveals my viewing habits this year (I had to watch almost entirely animation once this podcast began), it also shows how strong of a year animation had. Even without Avatar: The Last Airbender or The Legend of Korra anchoring it in critical quality, animation is thriving. There are multiple high critical quality animated shows airing now, including the best show on television, Steven Universe.